GaymerConnect Announces GaymerX2 Convention Set For July 2014! Home/Featured/GaymerConnect Announces GaymerX2 Convention Set For July 2014! Coming after the great success of the first ever LGBT gaming convention, GaymerConnect has announced its second annual gathering will take place July 11-13, 2014 at the InterContinental San Francisco Hotel in San Francisco, California. According to co-founder and Creative Director Matt Conn, GaymerX was created to provide both a safe space for LGBT gamers, but also to start a dialog with game developers (and each other) around LGBT representations in games. 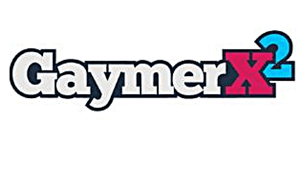 GaymerX2 will feature more celebrities, guest speakers, panels, concerts, mixers and games. Notably on the list of guests are David Gaider, Mattie Brice, Alexis Ohanian, Gordon Bellamy, Jaime Woo, and John Scalzi, musicians like 2 Mello and Virt, as well as returning faces like Ellen McLain, John Patrick Lowrie and Zach Weinersmith. So get ready and grab your joysticks boys! Its gonna be a wild time! You can register and get more information about GaymerX2 at the GaymerConnect website. And it’s over my birthday… I so should go.